To date, the dental practice uses a variety of modern methods of diagnosis, however, the classic x-ray examination is still the leading method additional examination of the maxillofacial region. 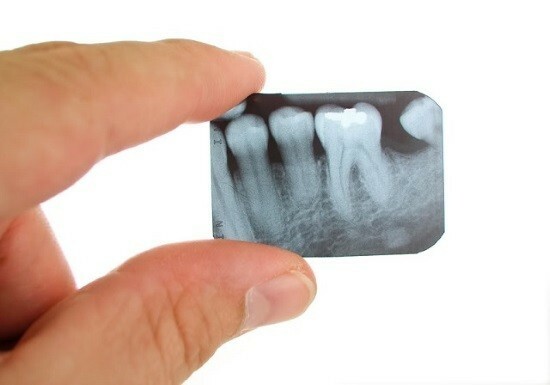 In dentistry radiography is used to diagnose pathologies paro — and periodontal regeneration, in orthopedics – for charting of treatment depending on the condition of the remaining teeth. In surgical practice, radiography is used to detect injuries, cysts and tumors. There are several techniques of x-ray examination of the maxillofacial area, one of which is the intraoral radiography. The principle of the study is that depending on the tissue density of the investigated area, the rays emanating from the x-ray machine, absorbed her to a certain extent. For example, the bone structure more mineralized and dense, due to this, the absorption of the rays is more intense, and then on the picture, the bone will appear as a light area. Soft tissue almost no delay x-rays, so the film appears as a dark region. The quality of the images depends on the proper directions of x-rays, so to avoid distortions of the size of the tooth it is important to choose the place of installation of the device on the man’s face. Typically, the beam is directed at the projection root apex of the tooth on the cheek. Wrong direction of the x-ray beam provokes a lengthening or shortening of the image of the desired tooth on the received picture. 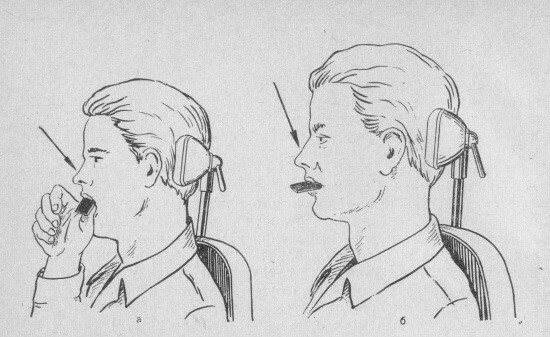 Diagnosis of the condition of the teeth of the upper jaw – head is turned so that the plane passing through the wings of the nose and the edge of the external auditory canal was parallel to the floor. X-ray film is fixed with fingers on the hard palate in the projection of the tops of the teeth need. For the study of the teeth of the lower jaw, the patient should tilt the head back, the film is fixed on the alveolar process from the lingual side. Contact x-ray study of prices, or occlusal x-rays, got its name because a picture is when closed tooth rows, between which there is a sensor apparatus. This type of diagnosis allows you to visualize the plot of the alveolar process in the region of 4-5 teeth need, which are clearly visible pathological formation of large size, impacted teeth, stones in the salivary glands. Using this method, you can assess the state of the tissues of the hard palate and floor of the mouth, to identify the localization and the length of the fracture. Occlusal radiography is often used in the examination of children and adolescents, and patients with limited mouth opening and a pronounced gag reflex. Interdental x-ray examination is used to diagnose the state of the edge regions of the alveolar process of the jaws. The method helps to assess the degree of bone resorption and detects early stages of cervical caries. As with any other diagnostic method, x-ray diffraction study has contraindications. In the first place, it is contraindicated in pregnant women, especially in the first trimester, and patients with bleeding in the mouth, mental disorders. How often can teeth x-rays do no harm?